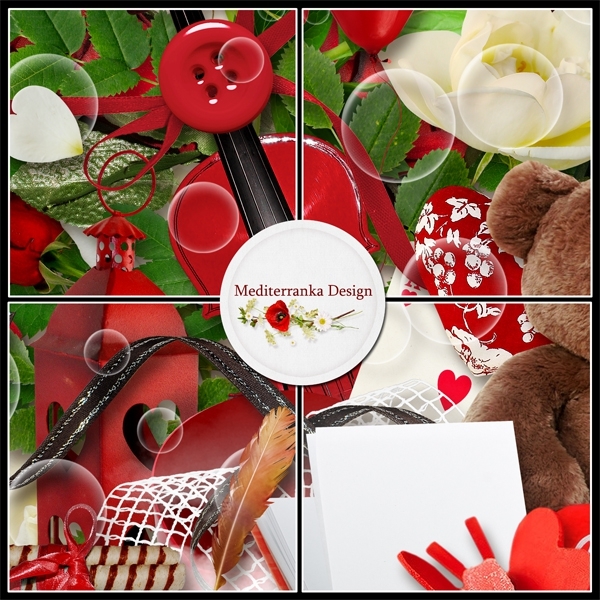 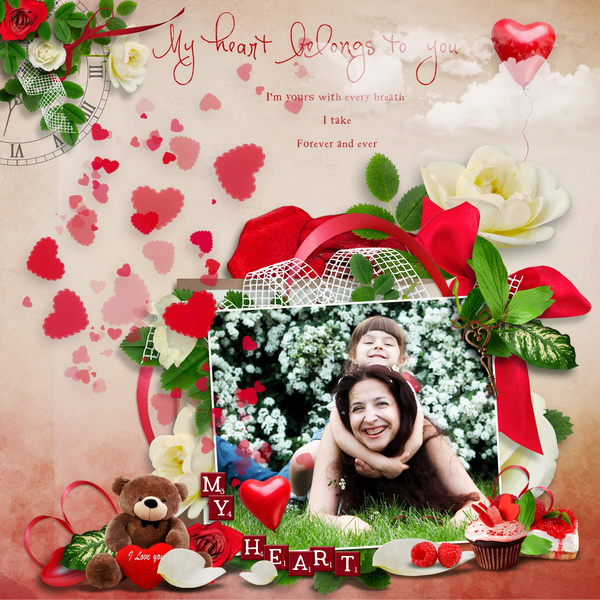 Valentine's day is coming... Time to make Valentine cards and Love layouts. 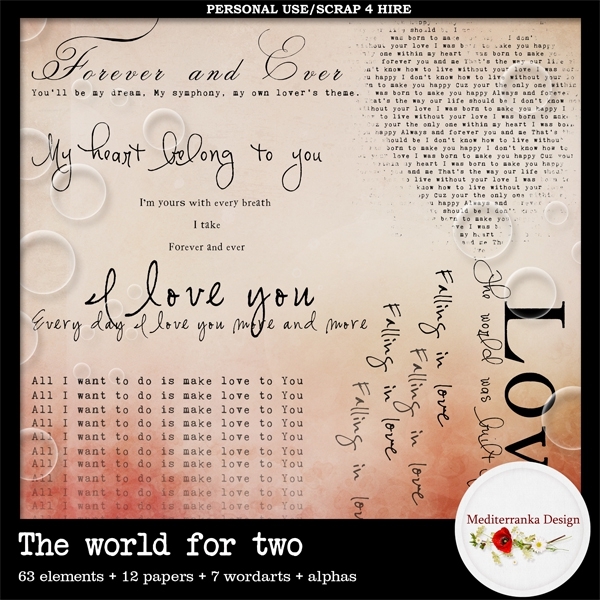 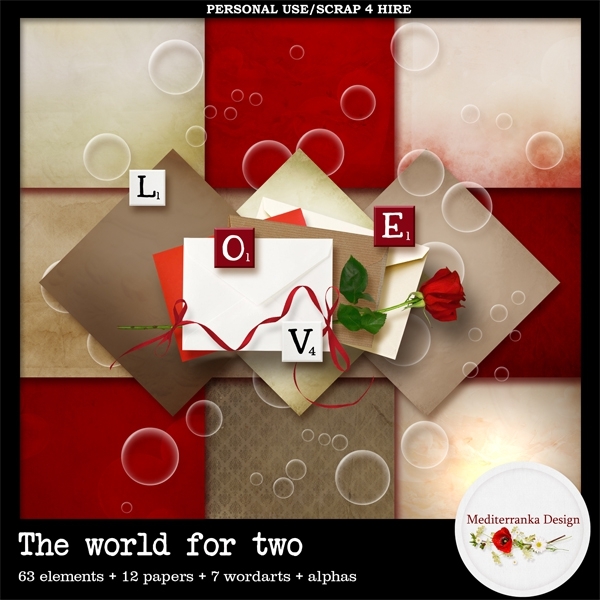 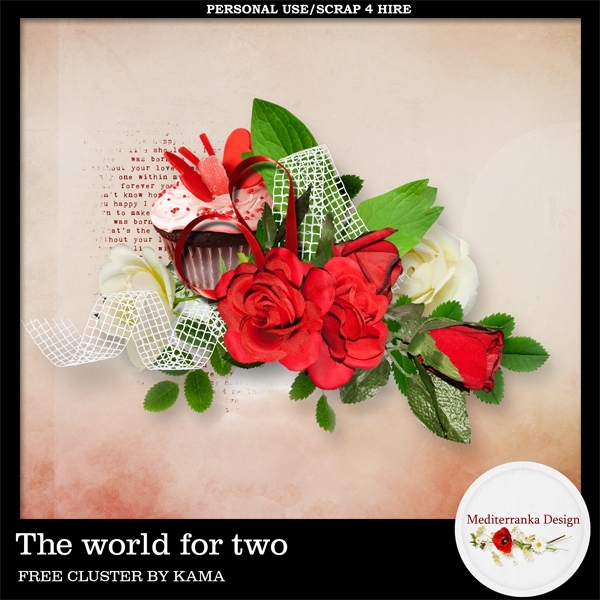 My new kit ''The world for two'' is already on sale! 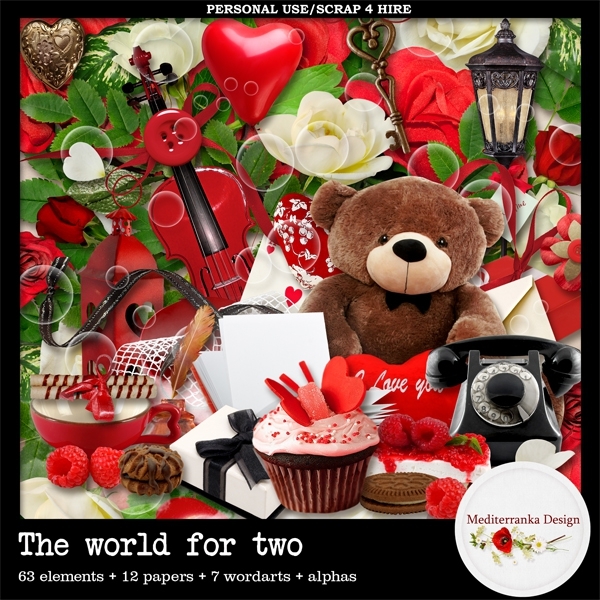 It includes 63 elements, 12 papers, 7 wordarts and 2 set of alphas.